Foreign - Trailer from Mark Pinkosh on Vimeo. You are a successful thirty-something lesbian living in Soho. So why does everything feel so FOREIGN? 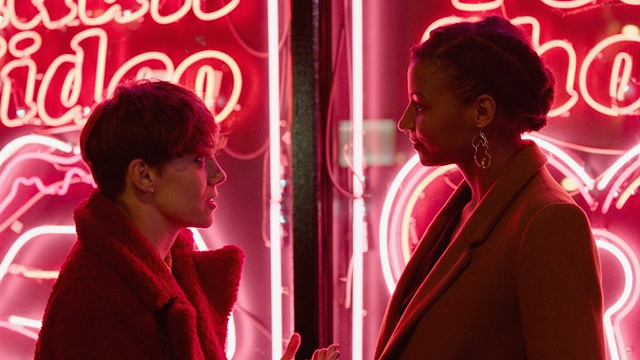 Ruby Welles (stand-up comedienne Suzi Ruffell in her acting debut) navigates the streets of London's Soho, a first date, a secret struggle and the challenge of being a single thirty something lesbian buffeted by the sounds and bustle of the West End in Mark Pinkosh's first film. Having been born in Germany to a Polish Father and a Scottish Mother we immigrated to Hawaii when I was seven years old. As a gay man growing up in the tropics with that family experience and background I've always felt a bit of an outsider and as if I was at all times FOREIGN. This sense continued when I moved to London where I've spent the majority of my time for the past twenty years. I wanted to explore the sense of feeling outside the norm and a bit removed from one's environment. I was lucky enough to work with some of Britain's leading comic talents on this piece and together we worked on these themes. 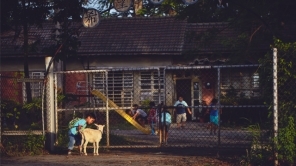 The main character of Ruby is by all accounts a successful woman, comfortable and "on track" with her life, but the sounds, people and environment surrounding her add to her feeling of being a foreigner in her home town. The current echo of conflict in cities where people from dozens of other places meet and live gave us a starting point to explore, hopefully, in a comic and light hearted way that sense of alienation we can all feel. Themes: Culture, LGBTQ, Relationships, Women, World Cinema.